ATHORIZATED SERVICE CENTER FOR: Funai, LG, Philips, Samsung, Sanyo, Sharp, and Also Extended Warranies for all major companies. Covering Kentucky, and Northern and Middle Tennessee. Welcome to Mike's Electronics, your authorized home electronics repair center. Mike's Electronics, located in Bowling Green, KY provides repair of all HD TV's including Plasma TV, LCD TV, LED TV, DLP TV, Projection TV, DVD and VCR's. Mike's Electronics continues to provide Bowling Green KY with the finest TV and electronics repairs. For over 20 years now our knowledgeable and friendly staff has been repairing, servicing, and installing television, electronics for the Warren County region, and surrouding counties, including northern and middle Tennessee. 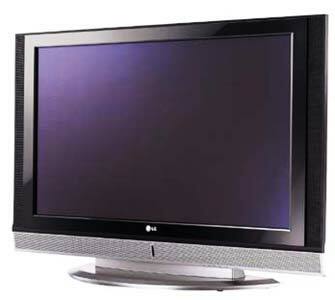 Mike's Electronics offers expert, professional In-Home service and repair on all makes and models of TV's. We are Bowling Green, Kentucky's trusted source for all of your Television, VCR and DVD repair needs. Also, now providing installation including all mounting and hookup for best quality picture available. We service all major brands of LCD TV's, LED TV'S, Plasma TV's, VCR's, and DVD's and microwaves serving the Bowling Green, KY area, including the counties of Allen, Barren, Butler, Edmonson, Grayson, Hart, Logan, Metcalfe, Monroe, Simpson, Mechlenberg and all of Warren County KY, and in Tennessee we service middle and northern and everywhere in-between. At Mike's Electronics, we strive to meet the demands of our customers with the best services possible. Our experienced technicians are always on hand to ensure the utmost in satisfaction, not to mention the lowest price possible. We also offer installation services on request. For over 20 years Mike's Electronics of Bowling Green KY has been your source for Factory Original TV Replacement Lamps for most DLP and LCD Projection TV models, including Samsung, Sony, Panasonic, Philips, Sharp, Toshiba, LG, and other popular brands. We honor most manufacturers' warranties and provide service on all brand names such as: LG, Samsung, Mitsubishi, Panasonic, RCA, Sharp, Sanyo, Emerson, Funai, Magnavox, Philips, JVC, Hitachi, and most other brands.